Jimi Scimmiano was an entrenched, mid-level mafia capo during the reign of the original Octagon. Note that he was not a member of the Octagon itself, just an annoying mob boss with an uncanny knack for escaping capture and being incredibly hard to kill. Silvershade found this out the hard way so he made a simple – and theoretically effective – decision … He threw Scimmiano in front of a moving train. Assuming him dead, Silvershade went about his business of dismantling Scimmiano’s criminal operation and its limited ties to the Octagon. But somehow Scimmiano survived even that near-splattered experience, albeit paralyzed from the neck down. Some of his men found him and scooped him up and managed to save his rotten life. His brain works fine – if you call the brain of a sociopath with a junior high school education ‘fine’ – but his body is a prison and all he can think about is revenge on Silvershade. 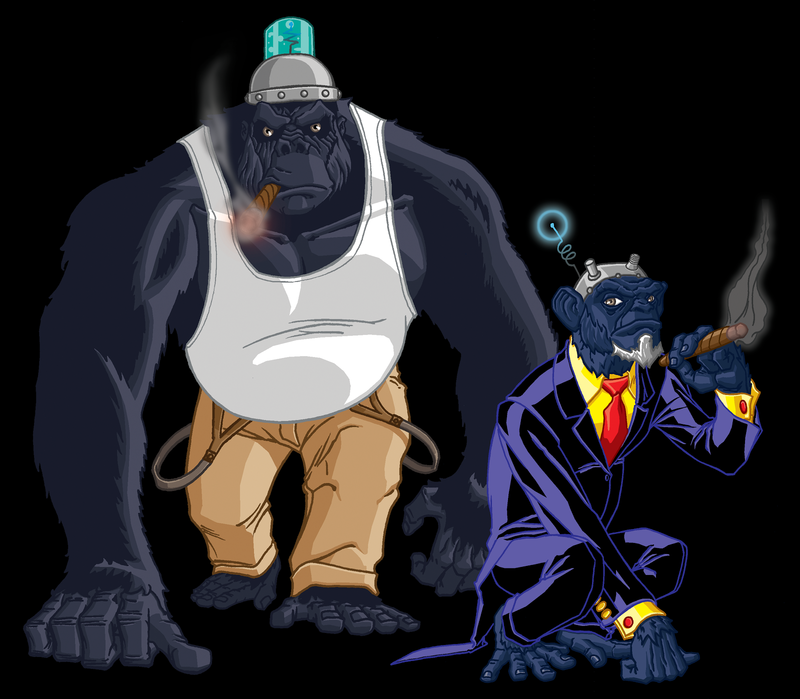 Now, somehow, he’s back, utilizing a chimpanzee’s body … and an orangutan’s body … and a howler monkey in a tuxedo for formal occasions … Taking Scimmiano down is probably gonna get messy.